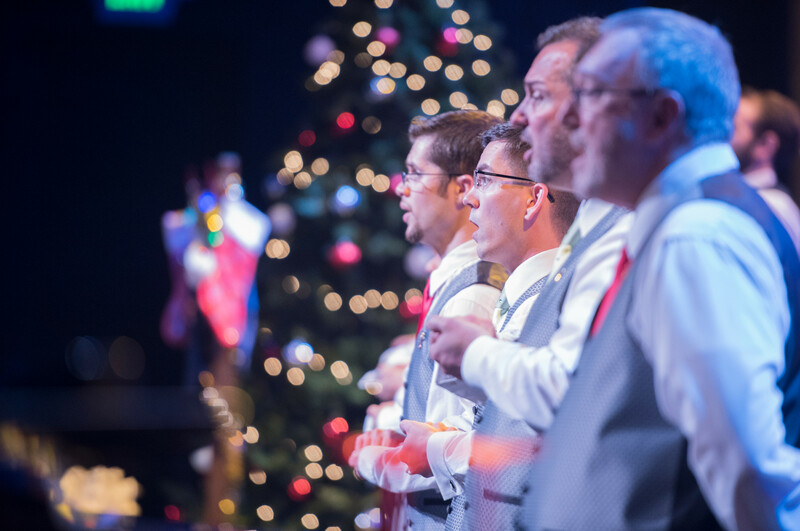 Steel City Men’s Chorus always looks for amazing guest artists to bring to our stage. 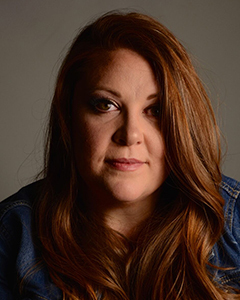 Past guests include nationally know artists Ryan Amador of InBody and comic Shawn Pelofsky as well as local and regional favorites such as Caprenia Anthony, Heather Batey, Belinda George-Peoples, Tam Debolt, Jan Hunter, Abijah Cunningham and Emily Herring. Your financial support makes this possible. In addition to our immense gratitude, guest artist sponsors receive a full page ad in show playbills and two reserved show tickets. 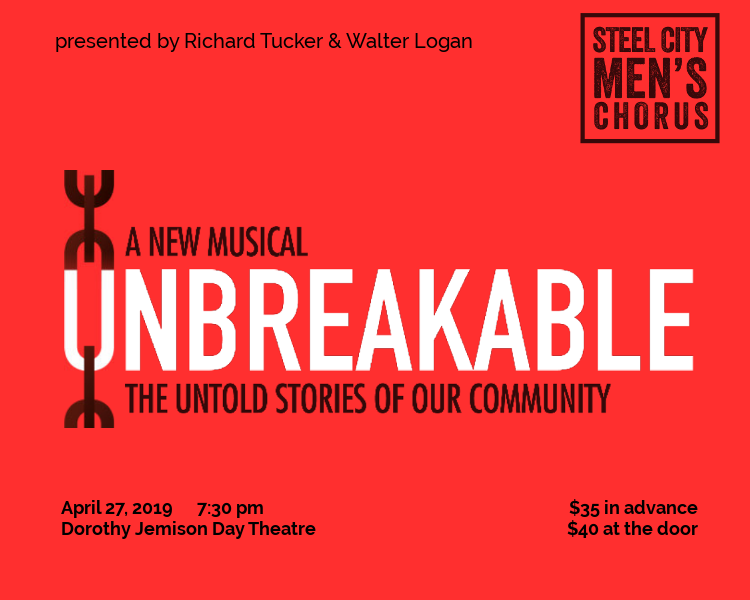 Having twice previously shared the stage with Steel City Men’s Chorus in appearances with the Alabama Symphony Orchestra (Birmingham Does Broadway) and at the Birmingham Holocaust Education Center’s Le Chaim celebration, Caleb Clark is excited to make his first formal appearance with Steel City Men’s Chorus and be a part of the Southeaster premier of Unbreakable. Caleb was recently seen as Bruce Bechdel (Fun House) at TNT. Favorite Birmingham credits include Buyer and Cellar; Gaston (Beauty and the Beast) and Chef Louis (The Little Mermaid) at RMTC; Alf (Peter and the Starcatcher) at City Equity theatre. 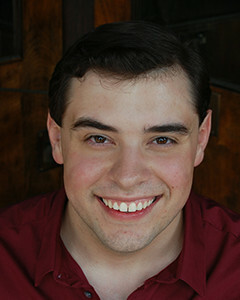 Regional credits include Ladahlord (James and the Giant Peach), Shrek (Shrek the Musical), at the Alliance theatre; Algernon (The Importance of Being Earnest), Antonio (Illyria: A Twelfth Night Musical) and Demetrius (A Midsummer Night’s Dream) at Georgia Shakespeare; Jumpy Malachi (Happy Days), and Dr. Seward (Dracula) at Ohio’s Schoenrunn’s Amphitheater. Performer, songwriter, and recording artist Toy Matthews began performing as duo Lyrisis, opening for world-renowned R&B acts such as KEM, Anthony Hamilton, Maze and more. Toy Matthews currently works with Grammy winning music artists, Dr. Kevin ‘Khao’ Cates, and Speech Thomas of Arrested Development, featuring on the latest (AD) album, This Was Never Home, and the Megan Good movie drama, Video Girl. 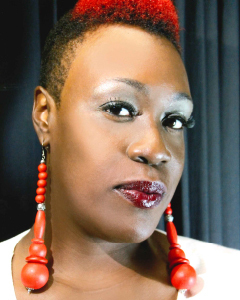 Theatrically Toy Matthews has worked closely with Robin Givens, (Joy in the Morning), Marion McCaffey of the Apollo Theatre, Melba Moore, and has featured in the latest productions; The Hundred Dresses, Mamma Mia, Cinderella, and more. Hear Toy Matthews’ new music, ‘Easy” on Spotify, Google Music, and Lyrisis the Bizness on YouTube.